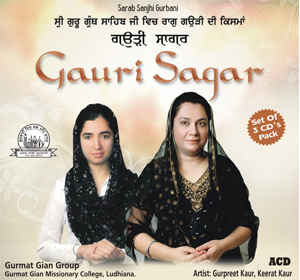 Gauri Guaraeree is one of the 11 mishrit forms of Raag Gauri in SGGS ji. 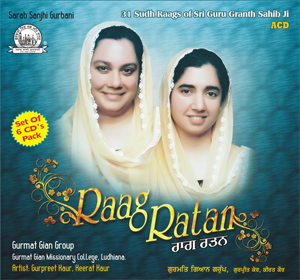 Raag Gauri is the third raag in the raag wise collection of Shabads in Sri Guru Granth Sahib Ji. 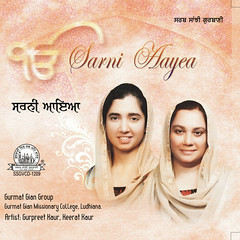 Gauri has the largest number of compositions which covers about 14 per cent of the total number of pages of the Scripture. The compositions in this raag appear on a total of 196 pages from page numbers 151 to 347. The Aroh of this raag has similarity with Raag Hindol & Raag Sohini. 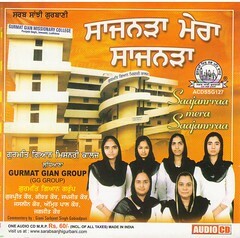 Avroh has similarity to Raag Marwah. 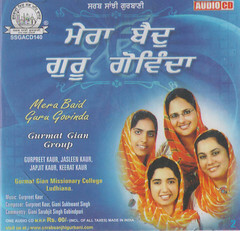 There is no mention of this raag in ancient books of Indian Classical Music and thus is considered specific to SGGS ji. 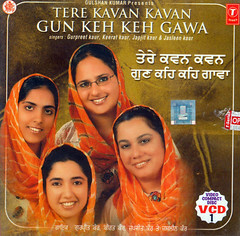 Swars used in this raag are: Rishab komal, Madhayam teevra. Pancham is varjit. All other swars are Shudh. Aroh: ਸ਼ ਗ ਮਁ ਧ ਨ ਸਂ Sa Ga Ma(t) Dha Ni Sa. Sa Ni Dha, Ma(t) Ga Re(k) Sa Re(t) Ga Re(k) Sa Ni(m) Sa.